At this year’s March event, Apple announced Apple TV Plus after relentless rumors and speculation. Basically, it’s the company’s first streaming service that offers exclusive shows, movies, and documentaries from big names in Hollywood. In reality, rumors about Apple’s streaming service had been out there for months. Apple did not release any teaser trailers regarding its upcoming original shows at the event. However, it confirmed that the service will include a host of original content like Amazing Stories, a fantasy horror show that was first aired back in 1985, and The Morning Show, which will star A-list actresses, Jennifer Aniston, and Reese Witherspoon. Apple says that the streaming service will not include ads and will be available in over 100 countries at launch. The Cupertino firm also revealed the release date for its service (Fall 2019) and which platforms it will support (macOS, iOS, and smart TVs). However, there was no mention of the Apple TV Plus release on other platforms like Android TVs, Windows PCs, and non-Apple tablets. In this article, we have rounded up everything you need to know about Apple TV Plus. For some background, at the event, Apple also announced Apple Card, a credit card service, Apple News +, a magazine and news subscription service, and Apple Arcade, a new gaming service. Apple TV Plus is a Netflix rival? Netflix is now the number one video-streaming service with over 139 million subscribers. Like Apple TV Plus, Netflix now offers access to its original content and TV shows. However, Apple confirmed that the streaming service is not like Netflix as it is very focused on original content from popular storytellers worldwide. Sources say that Apple now has over 12 original shows in the works from creators like J.J. Abrams, Steven Spielberg, Oprah, and M. Night Shyamalan. Apple also announced Apple TV Channels, which will be available on iOS, Apple TV, Mac, and third-party TVs out there. Apple TV Channels allow you to subscribe to and watch content from popular providers like HBO, Showtime, and Starz. Pricing has not been announced because it is not ready until this fall. However, we expect to see pricing tiers range between $9 and $16. That’s the same price Apple Music and Netflix now charge. In reality, Netflix is raising the prices of all its plans in the US more frequently. Earlier this year, the streaming service increased the price for new signups from 13% to 18%. Netflix now has more than 58 subscribers in the US and expects to hit 70 million by the end of 2019. So, Apple will be struggling to compete with Netflix if Apple TV Plus comes out with higher prices later this year. Sources say that Apple has been in talks with content providers so they will bring their shows to the TV Plus. Also, Apple has been busy expanding its Apple TV on the market. Indeed, Charter and DirecTV say that they will support Apple TV, while Altice and Optimum will join in Q4/2019. What platforms will Apple TV Plus support? 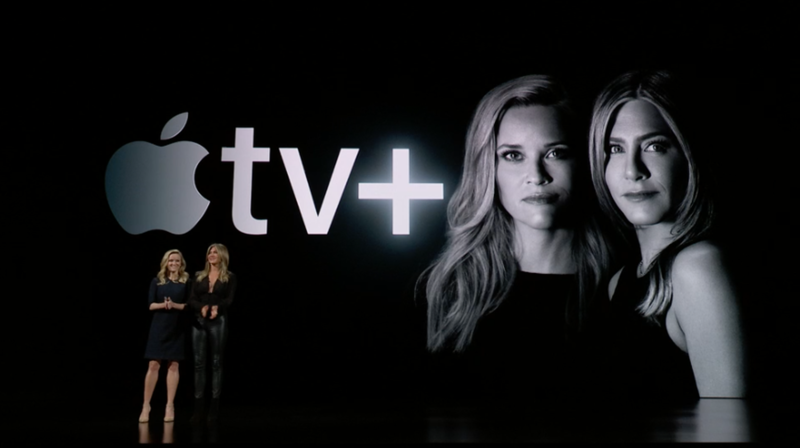 At the event, Apple confirmed that its video streaming service will hit the Apple TV interface when it launches to the public this fall. The best part is that the content will be available in both online and offline modes. That means that you will be able to watch your shows without the need for an internet connection. Apple also mentioned that Apple TV Plus will support all of its devices, including iPad, iPhone, iPod Touch, and Mac. For Mac owners, they will be able to watch their favorite TV shows on Safari as there is no TV app for Mac. Apple is also expected to expand its service to third-party Smart TVs from Samsung, Sony, and LG later this year. Apple TV Plus is definitely something we expect from Apple this year. The release of the Apple TV Plus helps to boost the video-streaming service market where Netflix and Amazon now dominate. Are you planning to subscribe to Apple TV Plus when it launches this fall, let us know in the section below.